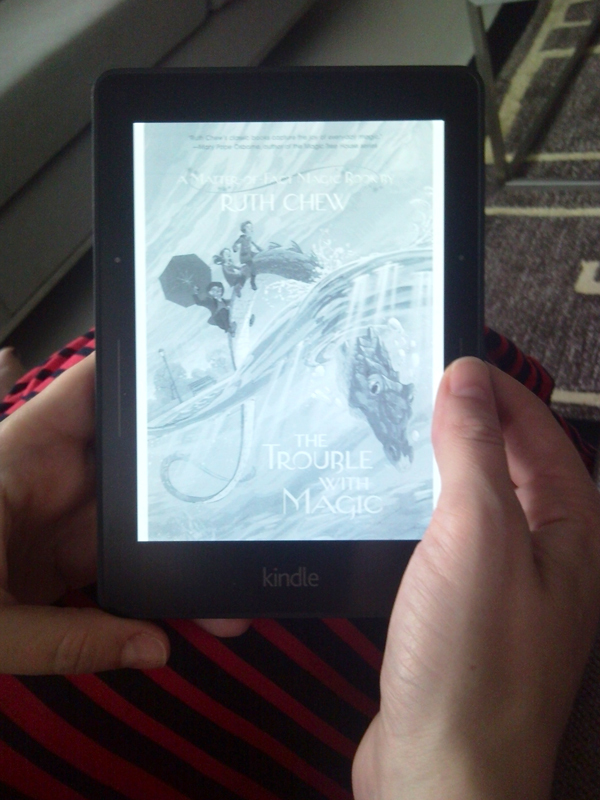 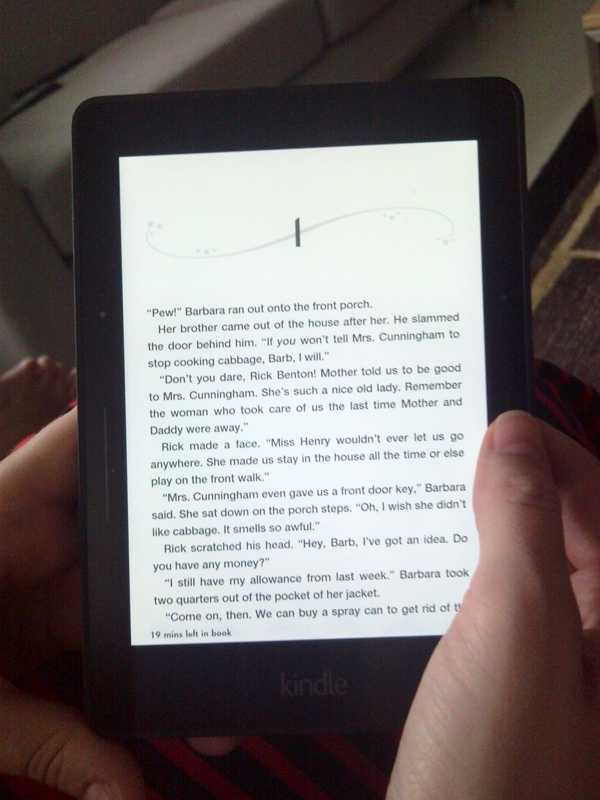 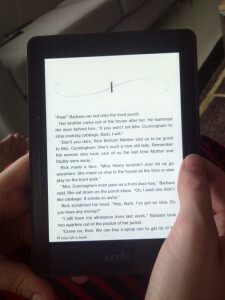 My friend downloaded a sample of The Trouble with Magic on her Kindle Voyage. 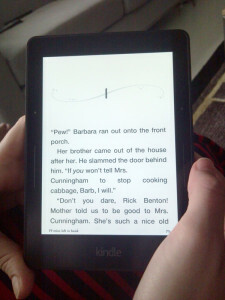 Here’s what it looks like! 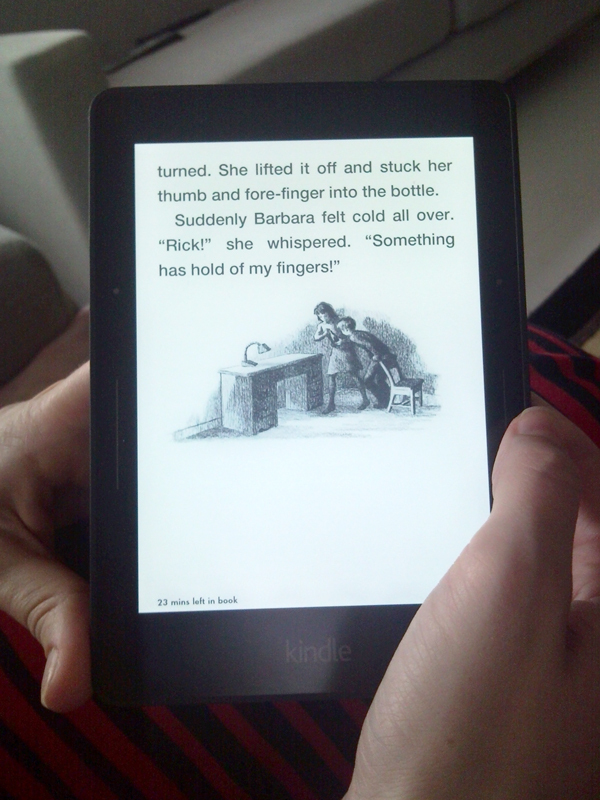 You can see the cover, a chapter beginning with small text, a chapter beginning with bigger text, and one of the interior illustrations.